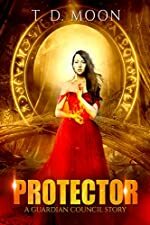 Daria Rosewood is a Protector, trained to battle vampires, necromancers, werewolves and other forces of darkness. Problem is, she hasn’t been on a mission. When a woman disappears into Seattle’s underworld, Daria is finally given her first case. Teaming up with Dr. Drake Jones, they start digging around for clues to find the missing woman. But when things go to hell, Daria must dig deep in order to pull through and save her friends.